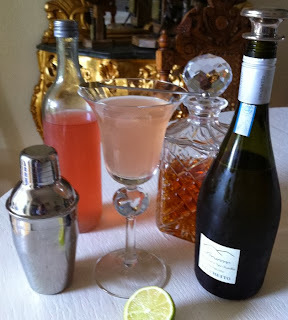 Now here is my twist with Rhubarb .... 3 ways.. Alcohol free , Very Alcoholic and Let's eat cake . 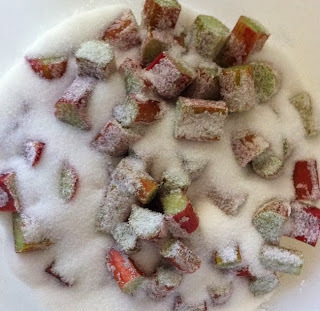 Clean and wash the Rhubarb , keeping only the stalks , discard the leaves as they are poisonous. Cut into 2" pieces . Cover with the sugar and allow to rest overnight . Place in an oven proof dish and add a cup of water . 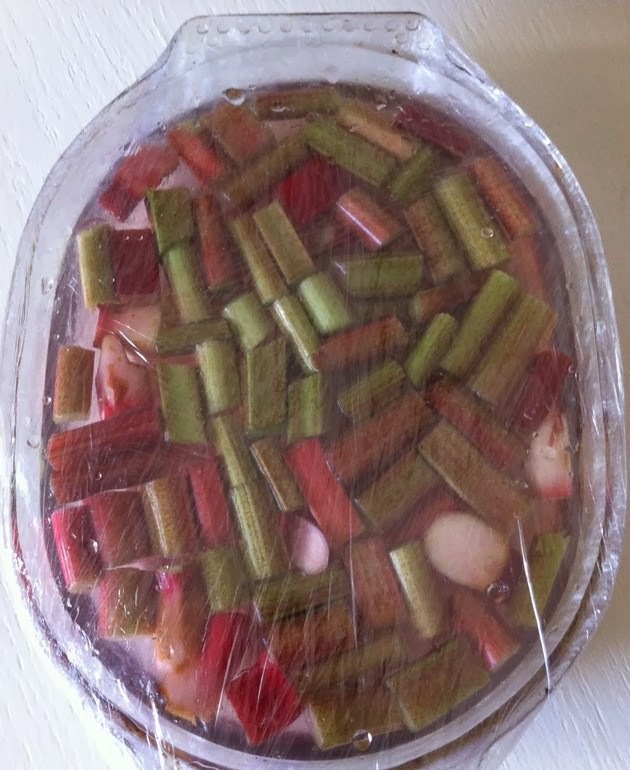 Wrap tightly with good quality cling film and poached the Rhubarb in an oven at 50 c for 11/2 hrs . Allow to cool completely still covered and in it's own juices . Add the Vodka and allow to infuse for 48 hrs . Pass through muslin and store in the fridge . 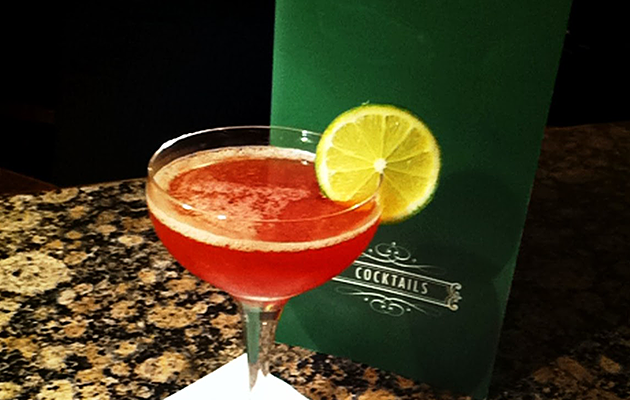 Add to Rum , lime juice and grenadine molasses & pour into chilled glasses to make your very own " Millionaire "
Cover with the sugar and allow to rest overnight. Place in an oven proof dish , add 2 pints of water . Cover tightly with cling film and cook in an oven for 11/2 hrs. Allow to cool completely in it's own juices. Pass through muslin and store in the fridge . 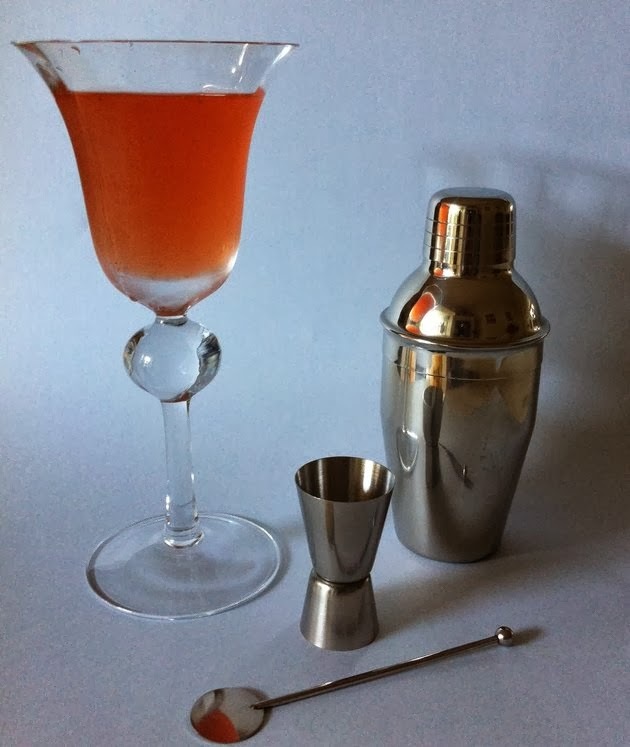 Add to 2 parts water and 1 part lemon juice , add ice cubes to obtain a refreshingly summer drink . Pre heat the oven to 170 c.
Spread half the cake mixture into the lined tin , evenly spread the Rhubarb pieces , Roughly break up the Amaretto biscuits and scatter over. 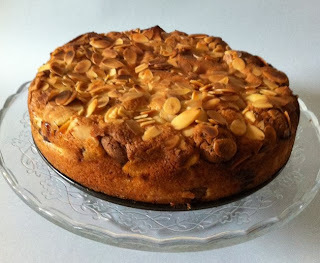 Spread the remaining cake mixture on top, Scatter a few extra almond flakes on top and bake for 50 - 60 mins until a skewer inserted into the centre comes out clean . Could I substitute the vodka with Gin??? :) love your blog!! Hi Amanda ,Absolutely you could use Gin instead , I have even used Campari which intensifies the Colour and provides a tartier taste.